The most important thing you should know, if you suffer from spots, is that they aren’t always the same. And to complicate matters further: you may suffer from more than one type of spot. 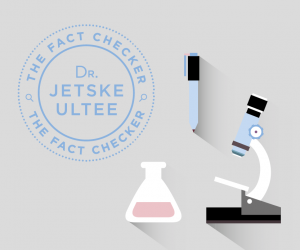 In order to be able to treat spots you first need to know what is actually causing them. Otherwise the probability that you won’t see any effect from your chosen treatment is great. Or even more frustrating: your problem worsens. So which spots can we identify? 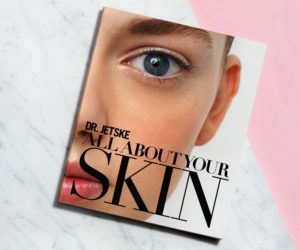 You won’t find what I want to tell you about this in the dermatological handbooks, but forms my own manual based on my experiences and the scientific studies that I have recorded on this subject. 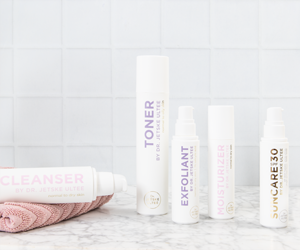 This format is invaluable for me because each type of acne requires a different plan of action. Which spots can be identified? This is the ‘official’ acne and is caused because certain hormones put sebum production into overdrive, increase the amount of skin cells and block sebaceous glands. 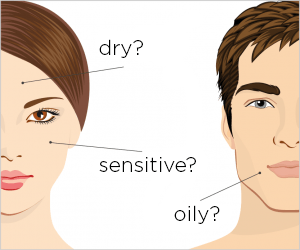 On the contrary to what many people think, it is not only the male hormones which are to blame for hormonal acne. Insulin and IGF-1 are also major offenders. That explains why this type is aggravated through eating sugar, dairy products and other dietary products which make the insulin production peak. Stress also exacerbates hormonal acne through the production of cortisol. This type of acne is often severe, the inflammation as a rule lies deeper in the skin and it is usually a combination of very angry spots (at different stages) and blackheads. The spots usually appear around the jawline and chin in women. This ‘true acne’ is usually the most difficult of all the spots to treat. This type often occurs in teenagers, but also in menopausal women, women who have used certain contraception (e.g. the Mirena coil) and just before menstruation. But even if you aren’t a teenager, or menopausal, you may still have a hormonal imbalance. For example, through chronic stress, intake of too many hormone suppressing substances or poor gut functioning due to a change in microbiome in the gut. Because did you know that the bacteria in your gut have a direct influence on hormones such as insulin, oestrogen and testosterone, and even IGF-1? If you suffer from acne and also complaints such as weight gain, irregular periods, PMS, endometriosis and/or excessive hair growth, then you may have a hormonal imbalance. But also symptoms such as anxiety, palpitations, insomnia, exhaustion, chronic infections, listlessness together with bowel problems can be an indication that your hormones and, along with that, your skin are not entirely in order. Now you can understand why, in the majority of cases, I don’t advocate prescribing antibiotic tablets for the treatment of acne. These spots are often on the surface and smaller than those found in hormonal acne. Underlying problems such as an allergy to a foodstuff, a leaky gut or overproduction of bacteria in the gut can cause your body (and immune system) to react severely to certain (external) substances from skin bacteria, fungi and skin mites (demodex). It can be compared in some way to hay fever where your own immune response over reacts to something that doesn’t affect other people at all. Spots caused by the skin condition rosacea also fall into this category. You’ll frequently find these spots together with spots which are caused by hormones. The disrupted gut function will have often created a hormonal imbalance. Or the hormonal imbalance causes (mostly via the stress hormone cortisol) a chronic inflammatory process in the body. I just spoke about an oversensitivity to certain bacteria, fungi and demodex mites on the skin. There are people though who are not as oversensitive, but where these unwelcome friends feel so at home that they multiply in droves. This can, for example, be seen with yeast spots. What is notable about these spots is that they don’t react to antibiotics or, in fact, become far more aggravated. Antibiotics normally prescribed for acne kill in particular the bacteria that curbs the yeast. Yeast spots are mostly skin coloured, small and usually found on the forehead. They may sometimes itch. The spots are, as a rule, simple to treat but often return. Yeast loves dampness and warmth so manifests particularly in the summer months. An excessive growth of skin mites (demodex) can also cause spots. It is very easy to determine, with the aid of a microscope, if the mites are the underlying problem. It’s a pity that so few Doctors check for this because the problem can be treated but won’t heal with the standard acne treatment. If you have an abundance of demodex mites, your skin will usually be red and there is often some fine flaking between the spots. As with yeast spots, the bumps can appear rapidly and can make the skin itch slightly. If you often have eye infections or irritation as well then the alarm bells should be ringing! Spots resulting from a bacterial overgrowth are usually smaller and redder than yeast spots. Sometimes they will have a small white head but, as a rule, there are no blackheads. Now and again small scabs are present. A Doctor is able to determine whether there is an overgrowth of yeast, mites or certain bacteria on skin. You should bear in mind, however, that there is usually a reason for an overgrowth of these inhabitants. This may be due to a compromised immune system, a poorly functioning skin barrier or inadequate cleansing of the skin. The occupants can easily be evacuated, but, if you don’t establish and deal with the cause they will soon return. Spots can sometimes also be just a surface skin problem and arise because of irritation. The surrounding skin is often red and unsettled and the spots are small. A well-known cause for irritation spots is the misuse of skincare products. You don’t want to know how often this occurs! What I often see is that many people with spots from the first group (hormonal imbalance) eventually get these spots as well because they use harsh treatment on their skin. If you have these spots your skin will recover if you leave it for a little while and then gradually introduce mild products again. I can imagine that all this information has left you feeling slightly dizzy. And that you want to know more about the best way to deal with the different spots. I will go into this in more detail in a later blog. But, perhaps this has already helped you? Spots are unpleasant for both young and old. In my experience, with some patience and knowledge, you can actually do something about them. In the meantime this applies to all skin with (all types of) spots: be kind. And, no matter how difficult it is this time of year, try to be a little conservative with sugar and dairy products. Also bear in mind that stress doesn’t help. Sufficient sleep and relaxation does (unsettled) skin good.